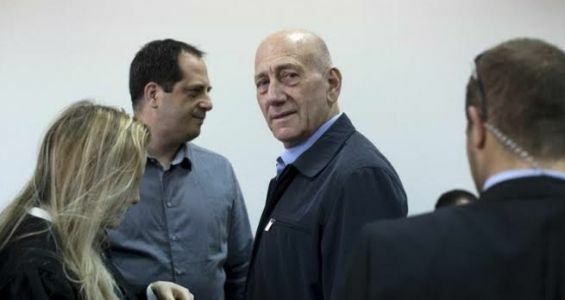 Former Israeli Prime Minister, Ehud Olmert, has begun serving his prison sentence. He's made history as the first former head of government in Israel to go to prison. The 70-year-old was convicted in March 2014 of accepting bribes to promote a real-estate project in Jerusalem when he was mayor of Jerusalem and trade minister, years before he became prime minister in 2006. He will enter Ma’asiyahu prison near Tel Aviv on Monday to start serving a 19-month sentence for bribery and obstruction of justice. Hours before entering the prison, Olmert released a video message saying he doesn't agree with the bribery charges he is convicted of. "When I was prime minister, I was given the highest responsibility of safeguarding the security of the citizens of Israel and today it is I who is about to be locked up behind bars," Olmert said in a video message, calling the experience "painful and strange". He admitted to having "made mistakes," but said these were "not criminal," and denied having taken bribes. "Life is offering me today no simple test. I go toward it with great sadness," he said.